Doctorow, C. (2008). Little Brother. New York: Tor Teen. Personal reaction to the book: This is thought-provoking if a little didactic (OK, a lot didactic at times). It’s a well-researched and totally subversive guide for teens. I would have read this book happily in high school. Sadly, it really doesn’t feel totally over the top, even though it is written as a somewhat dystopian near-future novel. It is no surprise to discover Doctorow is not American; the post-911 American thought police would have got to him before he got around to publishing. 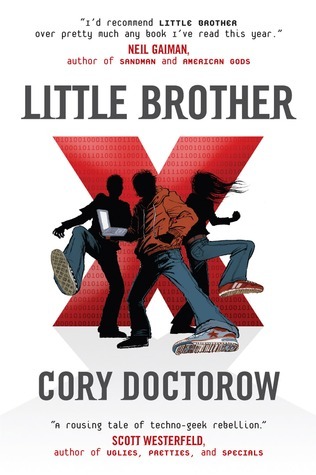 Author facts: Cory Doctorow co-edits the weblog Boing Boing. Born in Toronto, he now lives in London. He is the former European director of Electronic Freedom Foundation.